Despite what you have heard, being healthy is not difficult and it does not need to be expensive. And being healthy is more than simply eating kale and running a marathon! In this busy world many of us are under pressure to complete activities. So would your life be better if something as vital to you as maintaining your wellbeing could be made simple? Would you like some easy to follow health tips, which you can read in 60 seconds? Would you like a book, which has useful practical health knowledge, relevant to you and your family? Well you have come to the right place. Dr Joe Kosterich, a doctor who actually talks about health, has distilled the confusing information out there. In this groundbreaking book he presents 60 practical health and wellness tips to improve your wellbeing. From nutrition to sleep and from fitness to mindfulness it is all here. Plus some health tips which will surprise you. 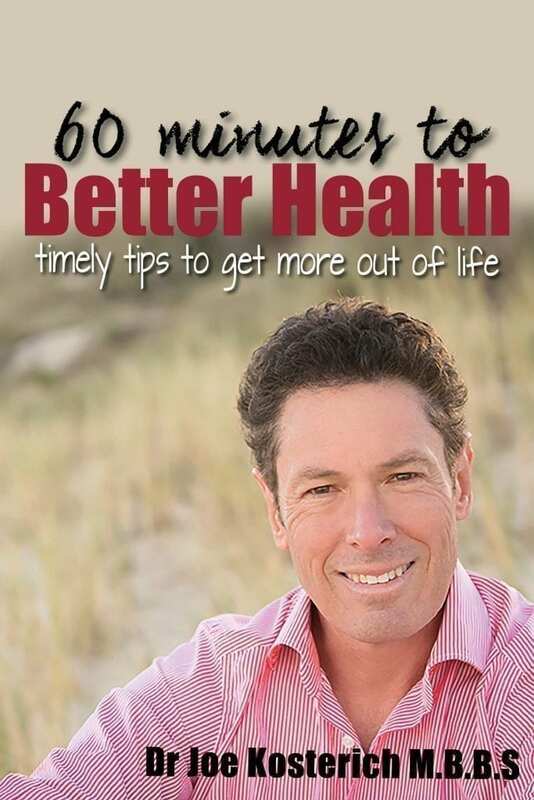 “60 minutes to Better Health” is 60; one-minute ways to improve your health so you can live better for longer.